Dominator GT4, Mono/Stereo Cable from RapcoHorizon. 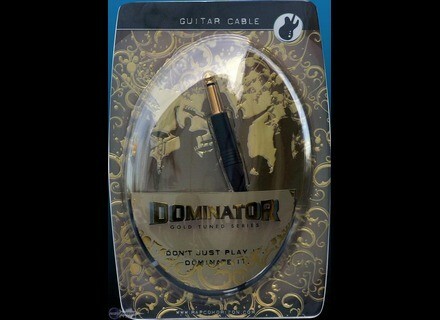 The RapcoHorizon Company will be presenting its Dominator cable line at Winter NAMM 2009. The Dominator SilverFlex line features instrument and microphone cables in two different configurations. The SilverFlex line in Dominator is jacketed with a TechFlex outer skin and a clear inner conductor . SilverFlex Series speaker cables are available in 12 and 10 gauge sizes with bare annealed copper conductors, all of which are silver-plated and "mega-stranded". 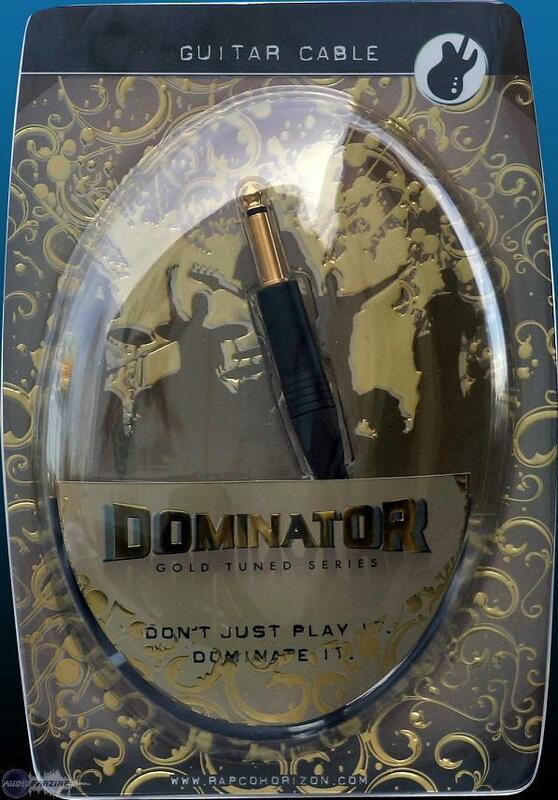 The original Dominator "Gold Tuned" series offers four individual types of wire. These are manufactured using the four different types of Dominator wire and include additional components inside each of the connectors, designed to "tune" the output of the guitar to the input of an amplifier or effects pedal. For more information, visit their web site at www.rapco.com. Excetylene Vintage Series Guitar Cables Excetylene presents the Vintage Series Guitar Cables. Rapco International Dominator GT2 Rapco presents the Dominator GT2, which the brand describes as a high-end cable aimed at humbucker-equipped guitars.